Remember when there were some whispers that Deadpool 2 had tested poorly? Yeah, that's yet more evidence that Hollywood needs better test audiences, because David Leitch and Ryan Reynolds have done something quite incredible with the Merc With A Mouth's second REAL cinematic appearance... They made it better than the first one. At one point in the deliciously violent, beautifully outrageous sequel, we see that Cable's big f*cking gun has a dial that turns up to 11, and there's no better analogy for the movie than that. It's an escalation of the first film that doesn't jump the shark, doesn't sh*t the bed and manages to be funnier, cleverer, more emotionally true and even more infectious. Anyone concerned with the removal of Tim Miller as director need not be: Leitch is a more than capable replacement whose past work brings something new to the franchise and who clearly knows 'Pool just as much as Ryan Reynolds. 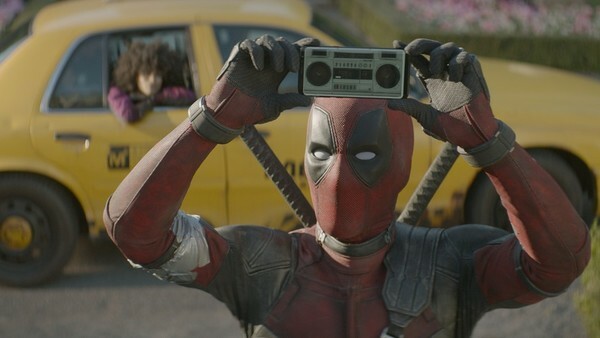 And it's the star who deserves the lion's share of the plaudits, really, because his enthusiasm for giving Deadpool fans the version they needed (while also taking shots at himself, quite gloriously) drips from every scene. Sure, it's long, but there's a lot in there and there's no sag at all. And honestly, if Disney have ANY thoughts at all about cancelling 'Pool once they take the reins, we all ought to revolt. Because the world needs more of this, even if it's not an entirely flawless movie. But then again, Deadpool's always been a little rough around the edges, so perfection would have been misplaced.